App research firm Velositor has found that in-app purchases by Apple iPhone users are making big bucks for app developers. Becoming more common in games, productivity and social apps, the average U.S.developer is making $63,885.34 in revenue from such purchases from Apple iPhone users in the first month. Taking games out of the equation, the average Stateside iPhone-app developer took in $23,482.15. Considering that these are averages, it must mean that the most popular apps are earning millions from these purchases in the first month. These apps are using the "freemium" model in which the software is available for free from the App Store, but certain features require the user to make an in-app purchase. This allows a decent experience for those testing out a title from the App Store while rewarding those who want to delve further into a game or the features of an app. The study also breaks out the figures for Canadian Apple iPhone app developers and those numbers are about 5-6 times smaller. 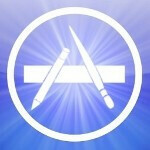 The average iPhone developer in Canada makes $11,558,18 from in-app purchases in the first month. Taking games out of the equation leaves an average of $4,226.71 in payments made to such Canadian developers. IT looks like the study has given us a couple of facts. One, when it comes to the Apple iPhone, in-app purchases seem to be far more lucrative in gaming apps than for other genres, and it pays more to be a Stateside developer than one writing code in Canada. You mean when some idiot clicks on an add telling him or her that he or she can get a free ringtone, when it actually cost 9.99/mnth? You mean those in-app purchases? ah, nevermind - it must mean when you want to spend money to purchase something for the game to play. Kind of like facebook with farmville and mafia wars. @networkdood, I apologize if my browser is just s**tty and cannot properly reply to your comment. Sometimes, there are games wherein you are just restricted to a specific level, like a demo, or you have full access to a game but some things are just locked which will make your gameplaying either more fun or much easier. these are what will be on those apps as the the one that you are pointing out as $9.99 are subscriptions which is entirely different. I HATE in app purchases, I paid $20 for a unlock pack for gamelofts Asphalt 6 and the game messed up. Gameloft told me to delete the game then reinstall it, I did but now had no way to get the $20 add on back and gameloft said they can't refund me the money and the add on is a one time purchase. They did how ever give me a few free games but if this is how they are ripping people off then F that. I contacted Google about this. If I buy an add on my PS3 its on there to download anytime I want but in app purchases are not built like that. Google said they will look I to it. Actually different companies set there own strategies on their applications. If you gonna purchase any app might have been possible you can play just demo level, if you want play more then you have to purchase full version that's why i don't like to prefer app purchasing.